Beautiful marble boulder from the Lucerne Valley in San Bernardino County in California. Solidly in the Southwest. 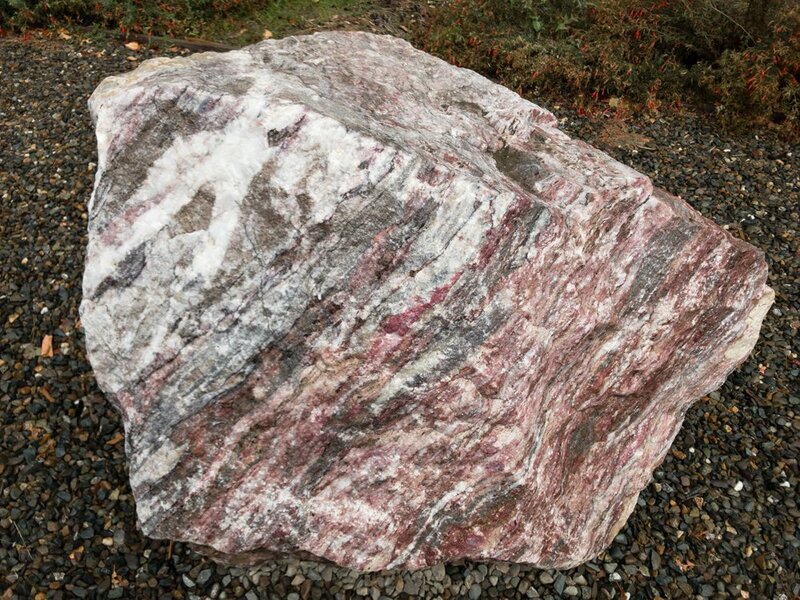 The red-pink color is due to rhodochrosite. The first two pictures are my own. More information on the rock garden here. 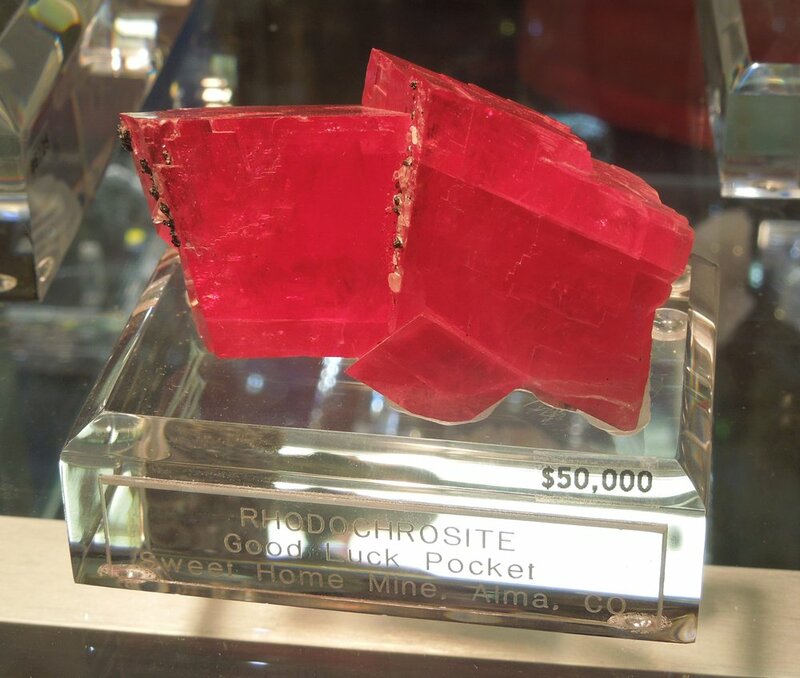 Well developed rhodochrosite crystals easily sell into the hundreds of dollars. Rhodochrosite without crystal faces fetches only a little money, the material looking like sad red lumps. It is only with a defined crystal form, in this case rhomboidal, that this mineral goes from being merely a formless rock to a prized collectible. 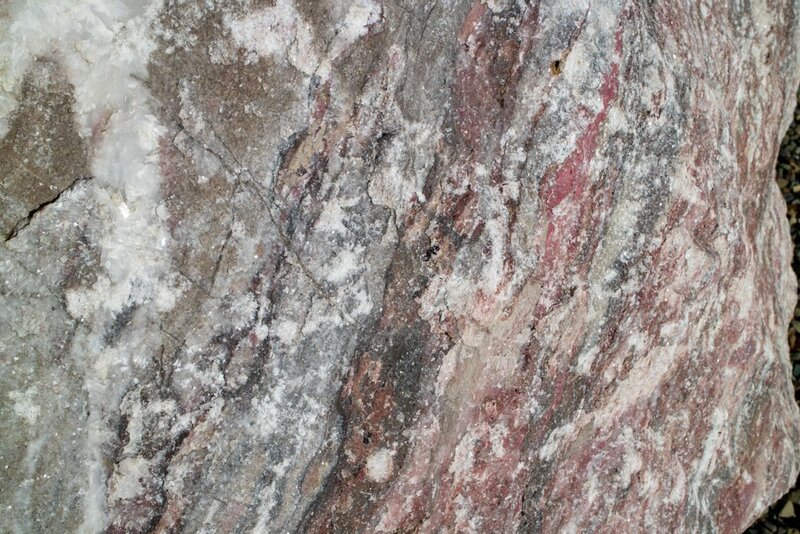 Rhodochrosite slabs for cabbing are available, but nothing sells for more than crystal forms. Condition is everything in the mineral hobby and the beginning collector may have to settle for micro mounts before affording anything better. Like antique cars, the finest examples belong to museums and private collectors with extraordinary budgets. The only way around this, perhaps, is to self-collect. 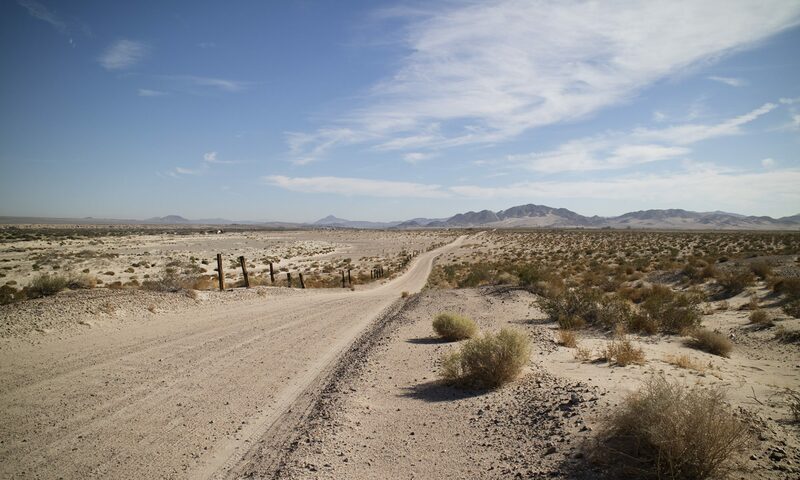 But that relies upon access to open ground. All these mineral collecting considerations will be discussed in my book. The boulder itself, a closeup, and the mineral in fine crystal form. This above image file is licensed under the Creative Commons Attribution-Share Alike 3.0 Unported license.